On November 12th, 2015 By SyedShuttari. 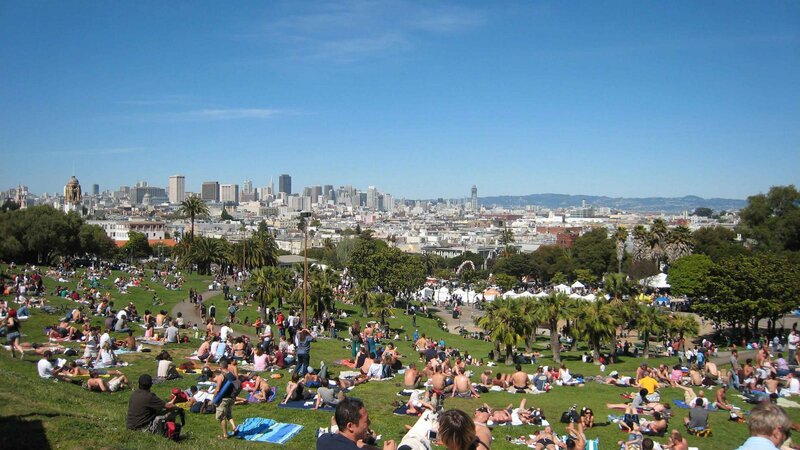 What happens when you move from disciplined culture of india to laid back culture of san francisco. This articles follows my journey of living 10 years in san francisco and adjusting myself between the extreme cultures of these two places. San Francisco is on the top level of self actualization when it comes to maslows hierarchy of needs pyramid. You don’t want to buy a house instead take a sabbatical and go on a world tour for gaining different perspectives. Convertible cars are not to attract girls but to get tagged as a narcissist. Highly paid prestigious jobs are for selfish people who don’t care about family. It feels good to get rid of materialism and add to your vocabulary consumerism spirituality, yogas, chakras, kundalini’s and other vocabulary you never learnt back home. India is about everyone working together. Spending holidays together and sharing a life together. SF is everything opposite of that. It is easy to disappear from friends and family and where once India made it impossible to not laugh the night away with family. SF cultivates a sense of independence, which has no place for tight family and friend bonds. If you need someone’s help you don’t call a friend, you call a Toll Free number. Back home, one can get away with anything. Every view has a place, a certain form of respect is given to everyone’s words. You can be rude and someone will share your rudeness. SF only respects sensitivity. You must always be a team player and never ever have an opinion that doesn’t follow the consensus beside your personal preferences. Repressing my feelings became a norm and following what was said became commonplace compared to what i thought. Because you got to be politically correct. Mantra is simple - only speak if something is positive..if not just keep quiet. India does not pride itself on equality. It judges and slots people into sects and classes. SF broke that perception and instilled a level of respect for everyone, no matter they be your waiter or your garbage man. SF taught me how to show gratitude for the simplest of acts. In societies with meritocracy - respect is reserved only for people who have fulfilled the goals laid out by society and in the extreme form shaming for not fulfilling it. That means Respecting your ABCD [term for indian born in america] friend when he is working as a waiter at a restaurant. Discipline is inculcated usually through - parental pressure so you become result oriented,obey to the standard way of life, criticism from teachers so you shoot for good grades,so you do what’s right and not what feels good and makes you happy. Discipline and happiness are the opposite side of spectrum and SF inspires you to do what makes you happy, whether its dressing up in any costume you want, going on a world tour instead of saving for a house or quit your job to start a startup because it makes you happy. Indians are used to speaking our minds. If they are having a tough day at work, they will tell you. San Franciscans on the other hand devise a ” always happy” facade to hide their true feelings and always present a strong front. Same goes for using words of endearment. You might be called someone’s brother one minute but get made fun of by the same “brother” the next minute. Yo Bro, It was nice to meet you, let’s keep in touch are 3 of the 300 words you come across every day which needs to be reinterpreted from their literal meanings. 7. Where is the Culture? The phrase ” being cultured” does not mean anything in SF. You don’t need to know about anything happening in the world and still will be able to fit in. In India, where people are made fun of on their lack of knowledge, mannerisms and even eating habits. This was a huge shock, even more drastic than expected. San Francisco is laid back, almost too laid back. America was never ruled by any king or emperor and hence there is no set of standard definitions on best way of life, beliefs and values. Everything has options infact a lot of them - Choose your own way of how a dish is made at restaurant, how you want to dress, when you want to get married - no one is reminding you of standard definitions chosen by society in general as a best practice. Yes that means no shaming if you choose to put rice in naan and dip it in paani puri sauce - there is no one way or right way to do anything. Not having a cultural gives america the freedom of life that attracts everyone here. Back home, you say what is on your mind. If you don’t want to go to a party, you just say no and it’s not perceived as rude or offensive and vice versa. In SF, you can’t be upfront. You can’t just say no or i don’t like it aEverything has to be sugar coated. You have to pay a “Wanting” it tax when you directly show people what you want. Asking a girl out for date needs to be reworded as hangin out, asking your friend needs to be -Maybe we can go see - if you are not busy/no pressure/just checking. Why is it so wrong to still listen to 90’s music ? No one will appreciate the fact that you still remember the names of all the Backstreet Boys and every lyrics to Robbie Williams. It’s all about Nicki Manaj and God Forbid you mention classics in front of San Franciscans. Its called cheesy - be prepared to be laughed at upon mentioning your love for 80/90’s pop songs you grow up with. In India you get rated and compared to your car, house and new gadgets. Getting a BMW meant you were rich but not in San Fran, here everyone can get anything. You want the latest Iphone, get it on monthly installments, you want a new house, get a bigger mortgage. I lost my awe and charm for everyone and see everything equally. Lifestyle of people is so balanced that almost everyone you know has a car, house, smart phone, playstation - so you never need to inquire how much they earn, what things they have bought and from where, how much it cost, being curious of their possessions, business and beautiful girlfriend - You have equal chance of getting everything you want, there is so much abundance of everything..you just need to pay the price of hard work and get it. Instead of wishing your neighbour loses his! Your indian accent works against you if you seriously want to make it to the top level. americans describe indian accent as nasal, weak, monotone, questioning, high pitched and rude. if you have come to america.. you have to quickly shape up or ship out [ with a hand gesture of ship going back] -as told by my boss at work. Everything is so close and accessible here. Tasks such as opening my own business, which once was thought as nearly impossible could be accomplished in a matter of hours. You can’t make excuses, you can’t blame the government for not trying. You can do anything and everything in SF. Not only is there community support but no hidden laws to create hurdles. I lost my excuse/habit of thinking as a consumer and thinking and becoming a creator/producer -Iinstead of using things produced by others. Indians don’t take defeat very well. We apply that same principal everywhere in our lives. Don’t know the directions to a place, well still a good guess won’t hurt anyone. This is our ideology in everything. San Franciscans on the other hand, will tell you straight up, when they have no clue whats going on. Even as far as a medical practitioner admitting one’s fault or lack of knowledge. Practicing this habit everyday was a joy in itself. It’s common to hear i don’t know from doctors, teachers, managers, car mechanics and what not..it’s ok to not know things and say that instead of saying something to appear knowledgeable. Everyone here loves to throw around the dreaded “sue” word and it’s not uncommon to see at least two people on a daily basis bickering about suing each other. This kind of attitude is unknown back in India. Neither does anyone even have the time to sue one another nor is it just “that easy”. You can sue your someone if he points a bug spray at you for $50,000, you can sue mcdonald’s if they are cleaning their store and don’t put the “Caution Wet floor” sign and you slip on their floor, you can sue government if road has potholes and you fall into it, you can even sue a barber if he accidentally cuts your skin with the blade..that’s why you hardly find barbers here..it’s a suing culture. Think of dating back in India and just do the exact opposite here in SF. Where once exposing your love and feelings for a gorgeous girl was appreciated and applauded, it now has become a sure way to make that same girl run faster than you can think. You have to pay the “wanting tax”, a tax levied on individuals when they directly speak of wanting something. The more you speak in riddles the better. Else your high interest level come across directly..it’s part of paying ” wantin it” tax. Hipsters in India are known to be jobless, unrealistic slobs who will ruin your children and all the values you carefully spent instilling into them. This however is not the truth, being hipster is a choice of lifestyle. They choose to be different. Some might even choose the correct path but not the same path as everyone. When you get to know them you will realize they thrive on being different - they get a high from eating,wearing, working, owning - what you can’t imagine. It’s necessary here in US where the mainstream crowd looks so similar- drinking same beer, going out to the same baseball/basketball games, buying clothes from same brands and listening to same crowd. What does a poor mortal got to do when he is creative and want to show he is different..enter the hipster movement.. here is the rule of the club if you really want to be a hipster…don’t call yourself a hipster! As Indians we are already part of a dynamic stereotype and being the minority in a place like SF opened my eyes to other cultures and their stereotypes. It shows that not everything they show on T.V is accurate but sometimes even far from the truth. SF is a melting pot and learning about people from all different backgrounds taught me acceptance. Americans have the same stereotypes about india i.e caste system, slums, elephants, music that plays with snake in the background and i will leave rest for your imaginations. No matter how passionately you try to break stereotypes you have to accept that people will learn things only when they travel that’s just a fact of life. Silicon valley is made up of IC’s not integrated circuits but indians and Chinese - i’m talking about the technology workers. It will be harder to integrate in american culture, learn lifestyle and make cool american friends if you get a job as an engineer. You gotta be at the top or bottom to experience american lifestyle - being a programmer just doesn’t expose you that much. It has been noted that you can only experience true American culture only by either being in the top or bottom and that hits the nail right on the head. Being a programmer, there isn’t much to learn or even experience except seeing other fellow immigrants in the middle. San Francisco has neighborhoods giving a reflection of different countries and sub culture in one city: Castro is for LGBT people, mission for hipsters, marina: frat bros, soma: for techies, north beach for europeans, berkley: for hedonists Everyone is right in their own views on how to live life and what to do: Be curious about their lifestyle and maybe you will be enlightened,get self actualized and find Nirvana. Individualism is cultivated in SF. You always have to take care of yourself. Go to a friend’s house and yes, you might be asked to help with the dishes afterwards, yes you don’t have to pay for everyone’s bill at a restaurant, you can pay your share of $11.21 for the chicken tikka and naan you had. Such acts would be considered rude in India but are commonplace in SF. If even asked for any favors, a blunt ” no royal treatment for you” would be surely followed with. Because you got to be politically correct. Mantra is simple – only speak if something is positive..if not just keep quiet. In societies with meritocracy – respect is reserved only for people who have fulfilled the goals laid out by society and in the extreme form shaming for not fulfilling it. That means Respecting your ABCD [term for indian born in america] friend when he is working as a waiter at a restaurant. Discipline is inculcated usually through – parental pressure so you become result oriented,obey to the standard way of life, criticism from teachers so you shoot for good grades,so you do what’s right and not what feels good and makes you happy. Discipline and happiness are the opposite side of spectrum and SF inspires you to do what makes you happy, whether its dressing up in any costume you want, going on a world tour instead of saving for a house or quit your job to start a startup because it makes you happy. America was never ruled by any king or emperor and hence there is no set of standard definitions on best way of life, beliefs and values. Everything has options infact a lot of them – Choose your own way of how a dish is made at restaurant, how you want to dress, when you want to get married – no one is reminding you of standard definitions chosen by society in general as a best practice. Yes that means no shaming if you choose to put rice in naan and dip it in paani puri sauce – there is no one way or right way to do anything. Not having a cultural gives america the freedom of life that attracts everyone here. You have to pay a “Wanting” it tax when you directly show people what you want. Asking a girl out for date needs to be reworded as hangin out, asking your friend needs to be -Maybe we can go see – if you are not busy/no pressure/just checking. Why is it so wrong to still listen to 90’s music ? No one will appreciate the fact that you still remember the names of all the Backstreet Boys and every lyrics to Robbie Williams. It’s all about Nicki Manaj and God Forbid you mention classics in front of San Franciscans. Its called cheesy – be prepared to be laughed at upon mentioning your love for 80/90’s pop songs you grow up with. Lifestyle of people is so balanced that almost everyone you know has a car, house, smart phone, playstation – so you never need to inquire how much they earn, what things they have bought and from where, how much it cost, being curious of their possessions, business and beautiful girlfriend – You have equal chance of getting everything you want, there is so much abundance of everything..you just need to pay the price of hard work and get it. Instead of wishing your neighbour loses his! Hipsters in India are known to be jobless, unrealistic slobs who will ruin your children and all the values you carefully spent instilling into them. This however is not the truth, being hipster is a choice of lifestyle. They choose to be different. Some might even choose the correct path but not the same path as everyone. When you get to know them you will realize they thrive on being different – they get a high from eating,wearing, working, owning – what you can’t imagine. It’s necessary here in US where the mainstream crowd looks so similar- drinking same beer, going out to the same baseball/basketball games, buying clothes from same brands and listening to same crowd. What does a poor mortal got to do when he is creative and want to show he is different..enter the hipster movement.. here is the rule of the club if you really want to be a hipster…don’t call yourself a hipster! Silicon valley is made up of IC’s not integrated circuits but indians and Chinese – i’m talking about the technology workers. It will be harder to integrate in american culture, learn lifestyle and make cool american friends if you get a job as an engineer. You gotta be at the top or bottom to experience american lifestyle – being a programmer just doesn’t expose you that much.